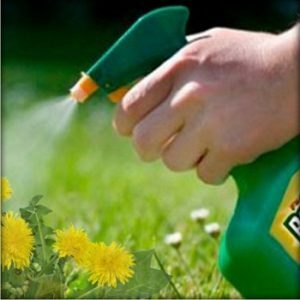 Natural Health News — A San Francisco jury has found that the widely used herbicide, glyphosate (also known as Roundup) can cause cancer. The jury returned its verdict in the case of a former groundskeeper, Dewayne ‘Lee’ Johnson, who developed terminal cancer after regular exposure to the herbicide. It ordered the agrochemical giant Monsanto to pay $39.2 (£30) million in compensatory damages and $250 (£195) million in punitive damages for failing to warn consumers that exposure to Roundup weed killer causes cancer. Mr Johnson filed the lawsuit against St. Louis-based Monsanto Company on January 28, 2016, alleging that exposure to the Roundup herbicide he sprayed while working as a groundskeeper for the Benicia Unified School District caused him to develop non-Hodgkin lymphoma (NHL). His case was the first of its kind to proceed to trial due to his terminal diagnosis. After 8 weeks of trial proceedings, the jury found unanimously that Monsanto’s glyphosate-based Roundup weed killer caused Mr Johnson to develop NHL, and that Monsanto failed to warn of this severe health hazard. Importantly, the jury also found that Monsanto acted with malice, oppression or fraud and should be punished for its conduct. » A California jury has ruled that the herbicide glyphosate (also known as Roundup) can cause cancer. » The jury found that Monsanto knew about the risks of its herbicide but that it damages for failed to warn consumers that exposure to Roundup weed killer causes cancer. » It ordered Monsanto to pay school groundskeeper Dewayne ‘Lee’ Johnson to pay $39.2 million in compensatory damages and $250 million in punitive damages. » This is the first of several thousand pending cases in the US that allege a link between glyphosate and the development of cancer. Monsanto is expected to appeal. Despite the world’s foremost authority on cancer—the International Agency for Research on Cancer (IARC)—listing glyphosate as a probable carcinogen in 2015 Monsanto has continued to promote glyphosate as safe. This is a line that the company has maintained for years, yet a mountain of testimony and documents was admitted during the trial. Johnson’s attorneys proved through testimony from Monsanto’s witnesses that company employees “ghostwrote” scientific articles and paid outside scientists to publish the articles in their name. Internal documents also revealed that a scientific advisor hired by Monsanto told the company that past testing for Roundup was insufficient because glyphosate, the active ingredient in Roundup, was tested in isolation without the other chemical ingredients that make up the Roundup formulation. Co-lead trial counsel Brent Wisner said the verdict was a result of newly-revealed, confidential company documents. Amazingly the jury in this trial was not allowed to see many of the internal documents that were uncovered during the trial. However, all these documents are now in the public domain and will inform the trials of more than 4,000 people from across the US who have also filed suit against Monsanto based on allegations linking Roundup to cancer. Monsanto is expected to appeal the San Francisco court’s decision. In the meantime, the next Roundup cancer trial against Monsanto is another state case and is scheduled to begin in October in St. Louis, Missouri with dates for further cases to be announced in the next couple of months. The legal firm of Baum Hedlund Aristei Goldman, which represented Dewayne Johnson has more background on the case. Natural Health News has followed the glyphosate story closely over the years. Follow this link to find some of our article and news stories. The UK campaign group Beyond GM has a downloadable leaflet which provides important background on glyphosate toxicity.